Comments: James Russell Barnett (Nee: ) | Sunnyburn Pa | 1851-1900 | Comments: Senior Detail 1A //1900 Millersville Pa Normal School . 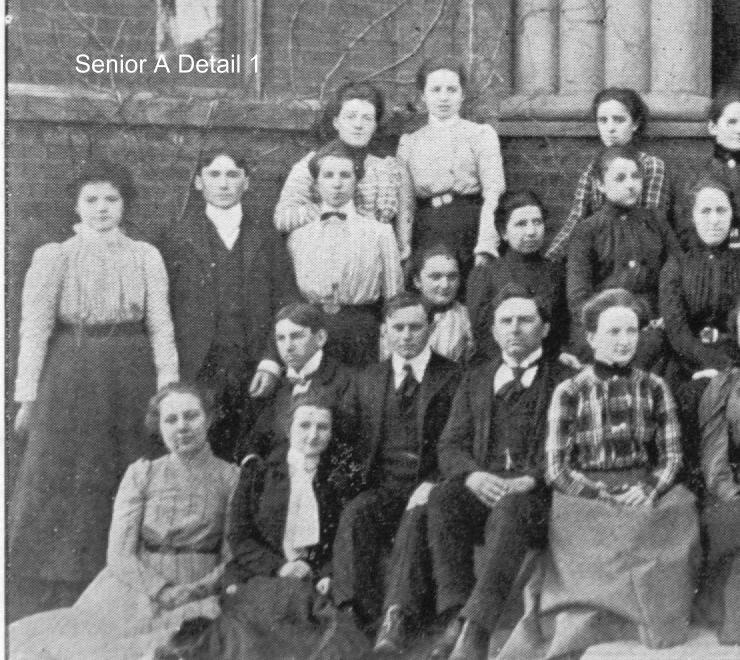 Click below to see other images from this yearbook.Contact webmaster@deadfred.com for enlarged scans or questions //The photo associated with this record is a Detail of the first of two group photos taken of the seniors . There are 3 detailed sections for eachphoto. This one is 1-a . To see the other detailed photos click below and look for and click on *Senior Deatil * . The Students names are listed alphabeticallya and are not matched to the students. Your student might be in another section of the detailed photos so look thru them all if you think you can recognize your student.